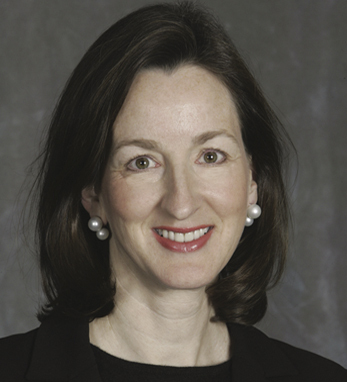 Catherine Keating is the head of Investment Management, Americas at J.P. Morgan. Prior to joining J.P Morgan, Catherine was a partner in the international law firm Morgan, Lewis, and Bockius, LLP, later becoming CEO of United States Private Banking at J.P Morgan. Catherine is a graduate of Villanova University where she received her B.A., later attending the University of Virginia School of Law where she secured her J.D. Besides her hectic work schedule, Catherine is a noted speaker and author on investment and wealth planning. She has made appearances on Businessweek, The Wall Street Journal, The Financial Times, and CNBC. Catherine has been honored by U.S. Banker as “One of the Most Powerful Women in Banking” and “the Most Powerful Woman in Finance” by American Banker. Catherine also serves on a number of chairs including the board of trustees of Villanova University and the Girl Scout Council of Greater New York and the Inner-City Scholarship Fund.